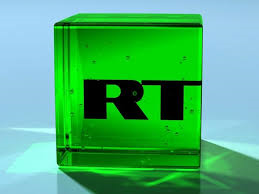 Kremlin-funded news channel RT has been summoned by Ofcom after being found guilty of breaching UK broadcasting rules. In the latest breach of rules, RT was found guilty of failing to observe due impartiality in a discussion show screened in July 2016, where it transmitted comments biased against America and the West without providing a counterbalance. RT's operator TV Novosti acknowledged that the panelists available on the CrossTalk programme offered “a Russian view” on a discussion about NATO. It had planned to put captions on the screen to "achieve balance". Rejecting RT's pleas to have the case dropped, Ofcom found the channel in breach of rule 5.5 of the broadcasting code, which states that “due impartiality on matters of political or industrial controversy and matters relating to current public policy must be preserved on the part of any person providing a service… This may be achieved within a programme or over a series of programmes taken as a whole”. Following similar breaches in recent months, Ofcom has now ordered representatives of the channel to attend a meeting to discuss ongoing compliance with broadcasting rules. In another case investigated by Ofcom, NTV Mir Lithuania (a Russian language channel licensed in the UK, but broadcast in Lithuania), was found guilty of a similar breach of impartiality rules following a programme containing highly controversial allegations about the local government's treatment of the Russian minority in the country. Russia has been in the firing line in recent weeks over its alleged involvement in influencing the news agenda with "fake news" in a number of countries around the world.